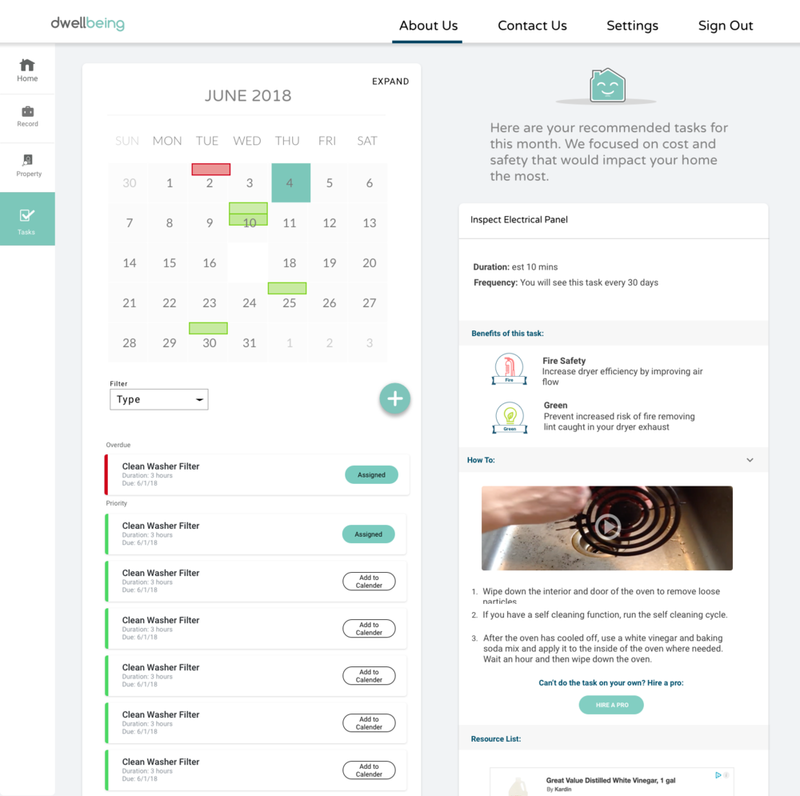 Dwellbeing teaches new homeowners how to care for their home through a personalize task plan, step by step instructions and a central place for home information. 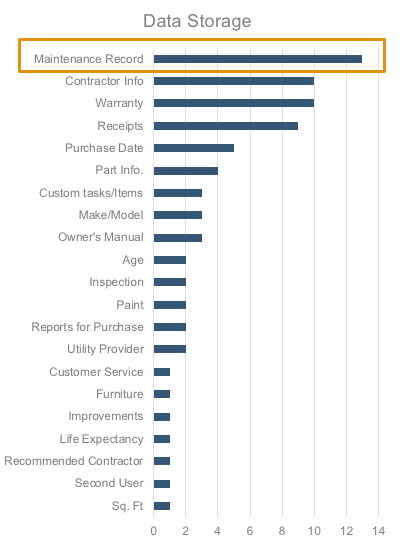 New homeowners constantly struggle to keep track of maintenance needs. There is to much to learn, let alone find time to do. Leaving most aspects of their home in danger of braking and causing serious damage to their house and their wallet. Over this year our team conducted hundreds of interviews and online surveys. The goal is to uncover the most impactful pain points so we can focus on solving for those. Interviewees range from plumbers to new homeowners. What we found is that people tend to struggle with knowing what they should be doing to best maintain their home. Often they are reactive to when things break. But this is causing unnecessary costs and increasing risk for damage. People wish they had something could plan for them. Because let's face it, dad can't help you with everything. We found that learning home maintenance tasks is hard for more than just the new home owner. 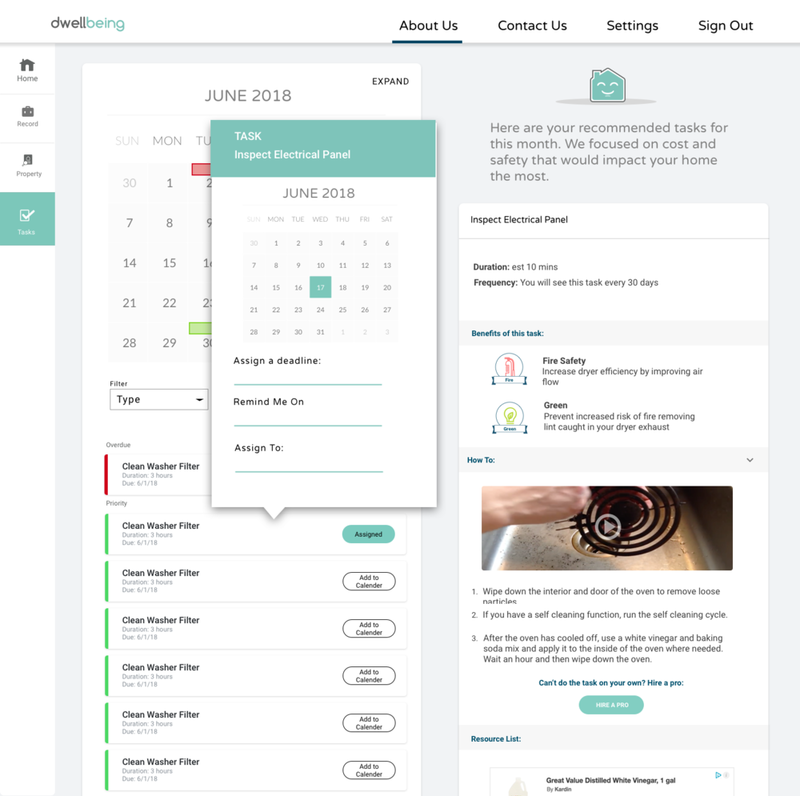 Ran a design studio to brainstorm ideas around storing home information and learn about home maintenance. The main pain point was around homeowners not being able to keep track of everything in the home and when it needs to be prioritized. 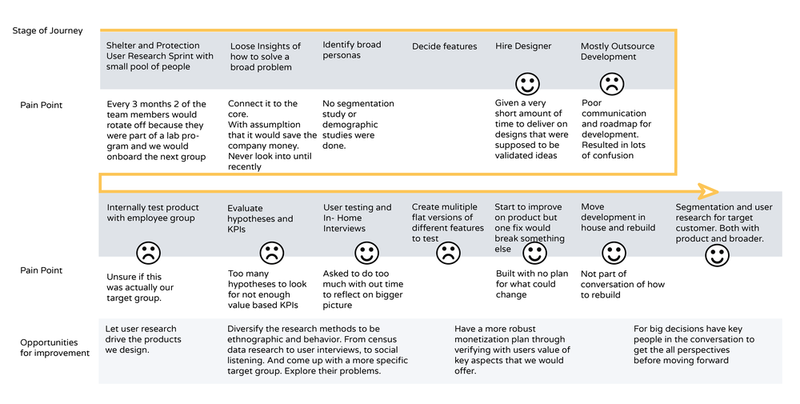 The results were synthesized into actionable features list to test. 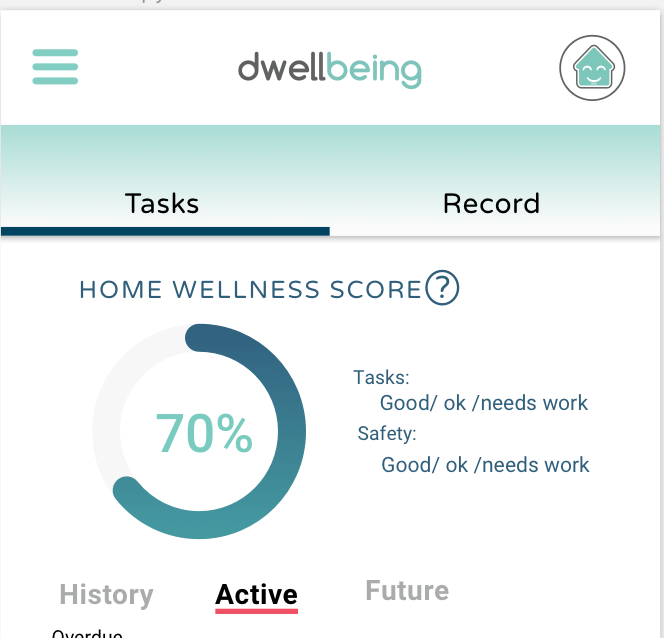 A "score" of user's home was a key aspect of dashboard to give a sense of how well they are maintaining the home. We also conducted online interviews and user tests to get a larger groups feedback. We first started with a quick but quite lengthly onboarding. In testing the feedback was that is was too much just to get on. So we adjusted to by 30% of the original and make the rest part of getting to know the site. 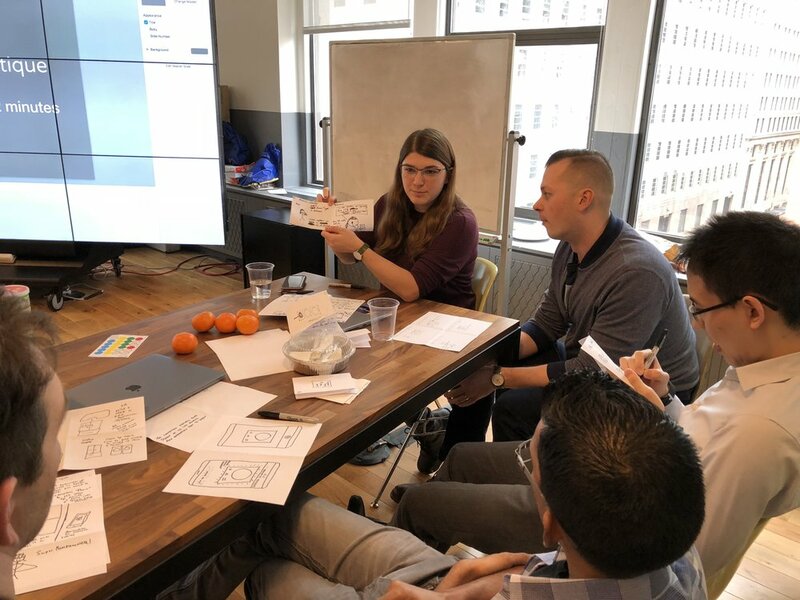 With so many potential features and now long term plan because of the early stages we need to find a method to prioritize the most valuable to users. 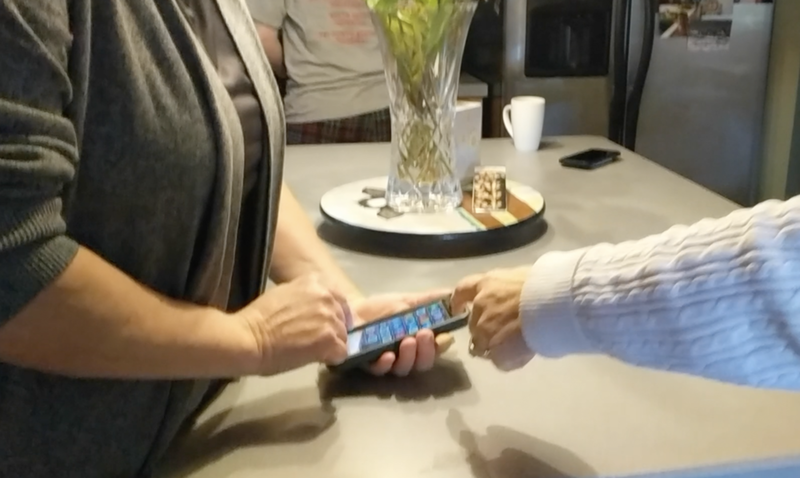 We had over 200 users testing the product in its initial prototype. 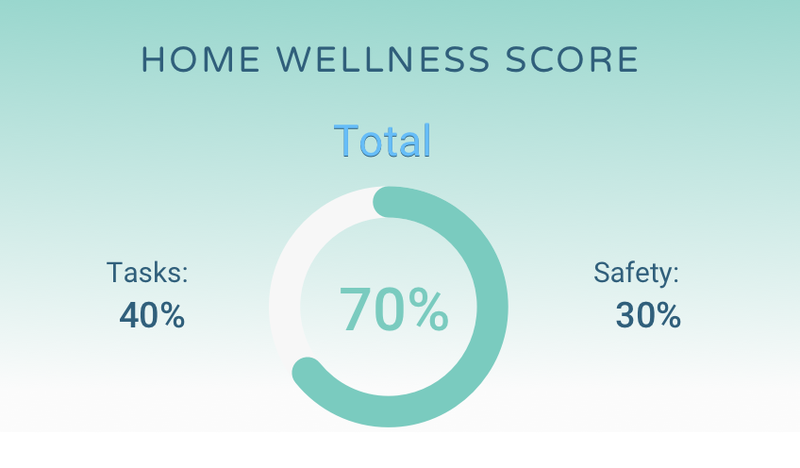 The feedback was positive around the idea, however, users were confused by the home wellness score. They took it really literally and were annoyed that they could figure out why it was the score it was. 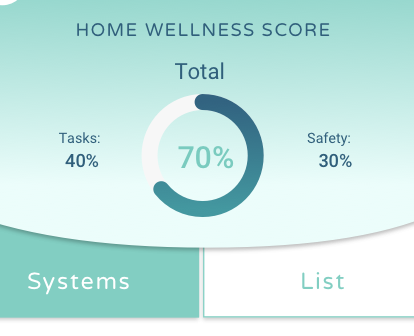 The problem was that it was out of 100% and it was base on number of task complete and safety elements in their home which inherently wasn't straight forward. 6 interviews in the Massachusetts area. New homeowners, landlords, people with young children, and recently widowed. Although very diverse group, all found value in the tasks they were given. This helped refine the task page to follow order of operations. Emphasis on the benefit of the tasks to motivate users. This is a lesson of no matter how hard one tries to visualize something, it will never make sense if the math behind it doesn't make sense. 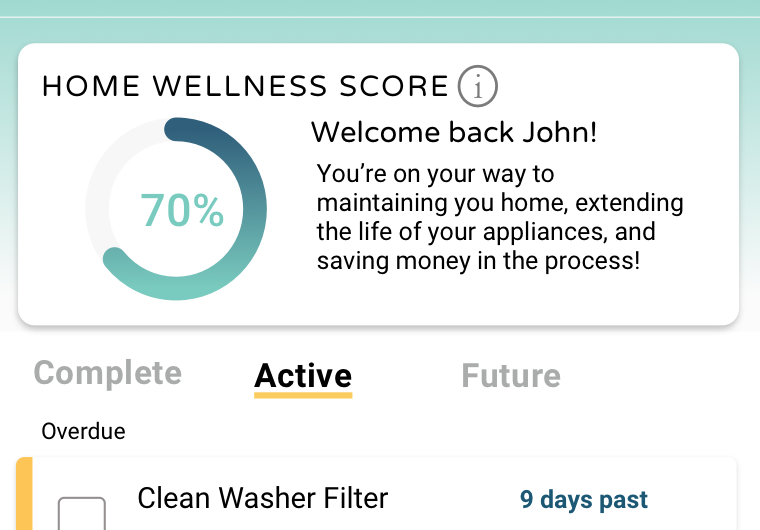 To make maintenance tasks assignment even more simple we plan to integrate calendar views and have more task per month visible at a time. This is a result of the users' behaviors to be more monthly planning rather than weekly. After creating our first prototype we started to notice a big drop off. People would sign up be assigned a task and then leave. Only to maybe come back the following week to see if there were more tasks. The problem was that even though they may only do 1-2 tasks a week they like to see whats coming next. People want to plan. We designed it in a way so that it would feed you tasks each week. Inherently organizing the platform by week. 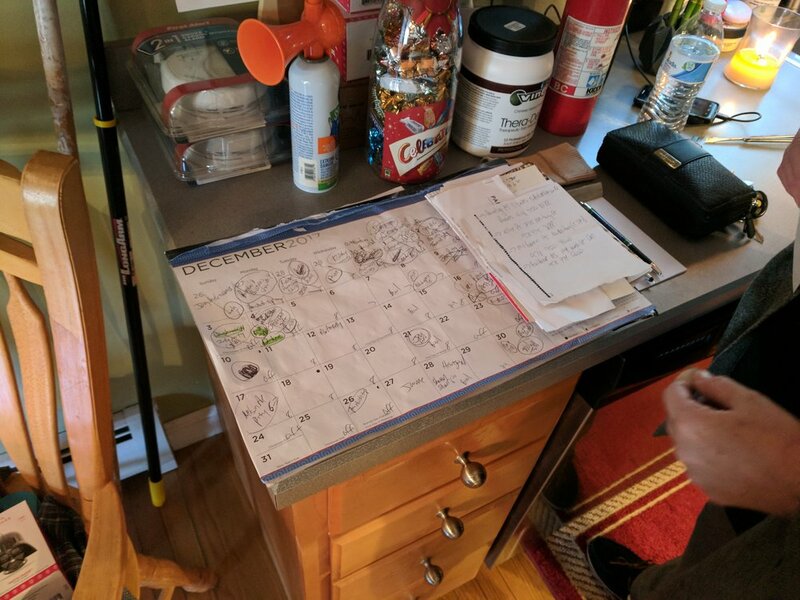 We learned that people would rather plan their month out when it came to home maintenance. 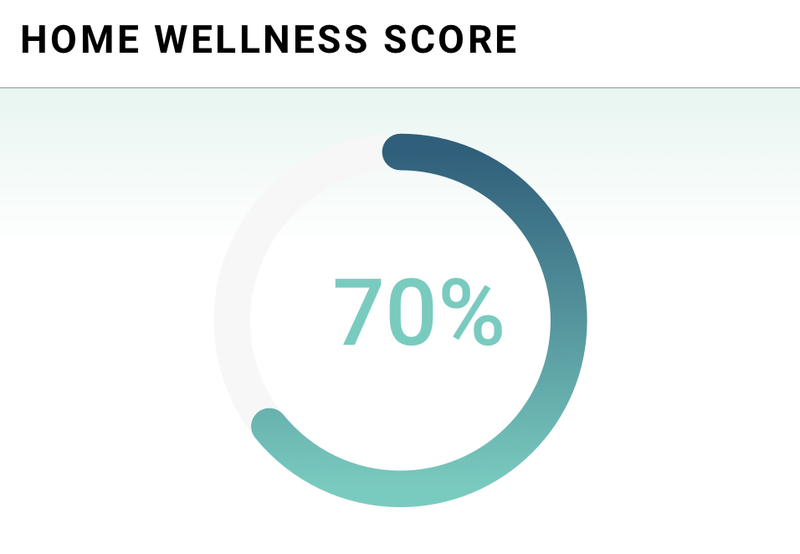 This is counter to many applications that schedule appointments or create fitness plans because they are more of day to day event in people's lives. And how people recieve reminders is really dependent of their phone. Every user we talk to would like push notification. A key problem people have with home maintenance is motivation to do it. 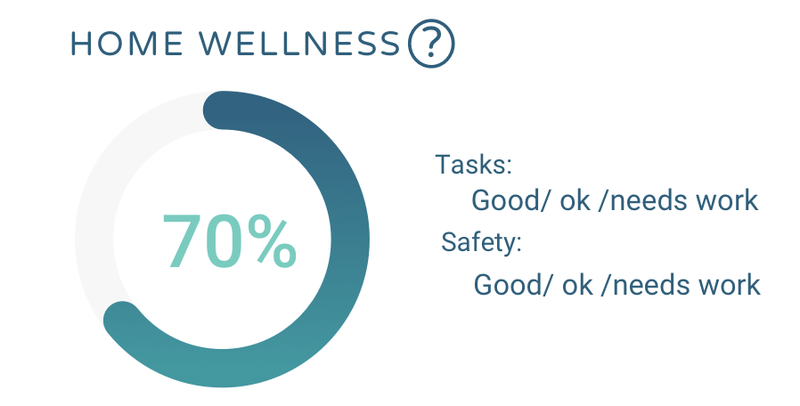 Through our research we found that people responded well to understanding the benefits to doing the tasks. 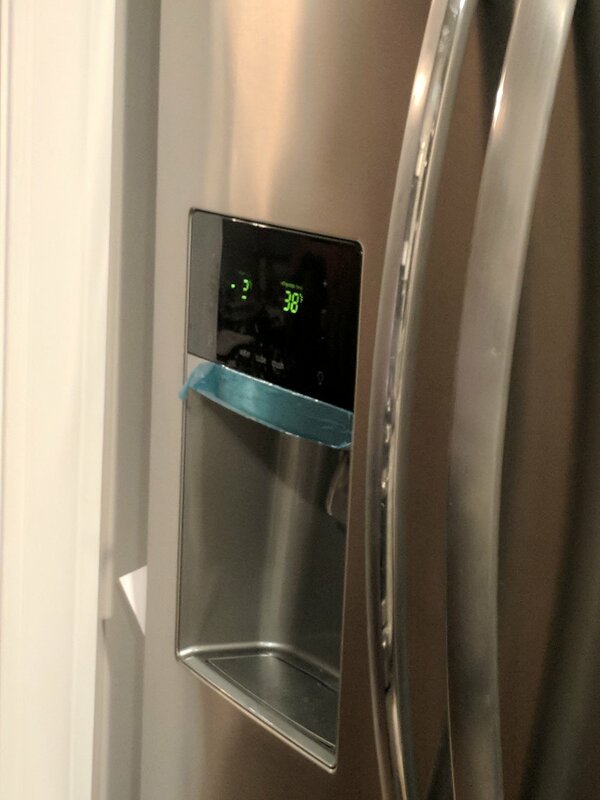 If they save money, extend lifespan of appliances, increase efficiency by doing the task now or if they are keeping their home safer from possible fire damage they are more like to do the task assigned. Motivations is realized in this application through multiple avenues. On the tasks themselves and as ongoing tracking on the status page. Gamification and other stats to show users are currently being explored. Want more? Check out my other projects!